PACSstar's key differentiators are its routing engine and overall PACS RIS workflow management that simplifies and reduces steps to help increase efficiencies for radiologists practicing teleradiology and teleradiology service providers. Additionally, it is a hosted teleradiology PACS application, which enables a more cost-effective and easier approach to RIS/PACS system deployment and administration. 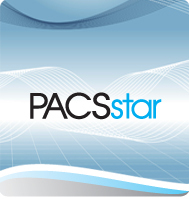 *PACSstar can be integrated with a variety of diagnostic viewers. For more information about PACSstar, teleradiology software pricing, PACS software rates, or buying teleradiology software, please call 216-514-9904 or click here to contact Perfect Imaging. Click here for teleradiology software customer support.